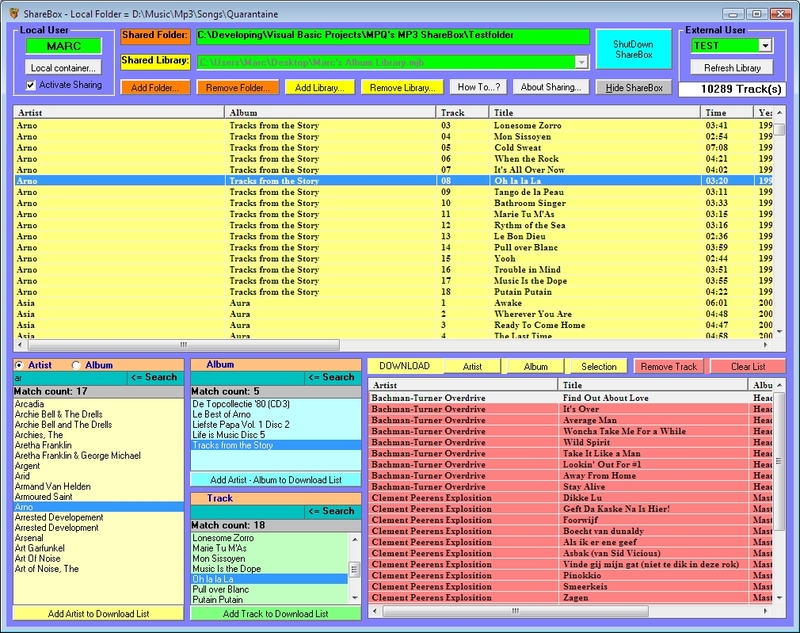 are a simple MP3 manager/player/cd-ripper for the Windows platform. - Library with extended search options. - Refresh function for auto-updating the library. - Renaming files based upon ID3 Tag v2.3 fields. - Relocating files based upon ID3 Tag v2.3 fields. - Album based library printing including cover art. - Full ID3 Tag v1.1 editor & ID3 Tag v2.3 editor covering most popular fields. - Filename based tag editor covering most popular fields. - CD ripper with on-line Free CD Database lookup for Album, Artist and Track names. - CD Player with automatic on-line Free CD Database lookup for Album, Artist and Track names. - Both players are freeware. The ShareBox is launched at Windows Startup and will remain in the System Tray to handle any request from your friends on the background. The ShareBox interface window is used to change settings and to select and download tracks from your friends. The ShareBox interface window will pop up by doubleclicking the ShareBox System Tray icon. - MPQ's MP3 ShareBox is freeware. 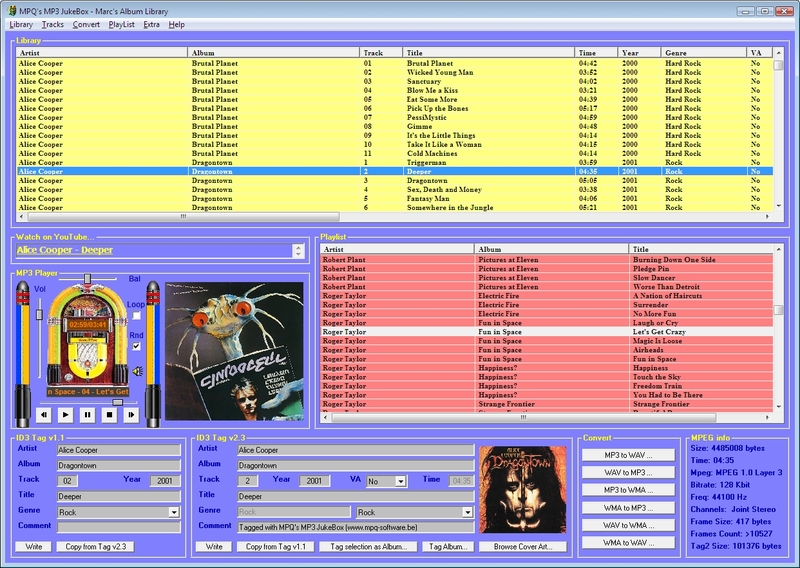 Can be used instead of MPQ's MP3 JukeBox to play M3U files (MP3 playlists). 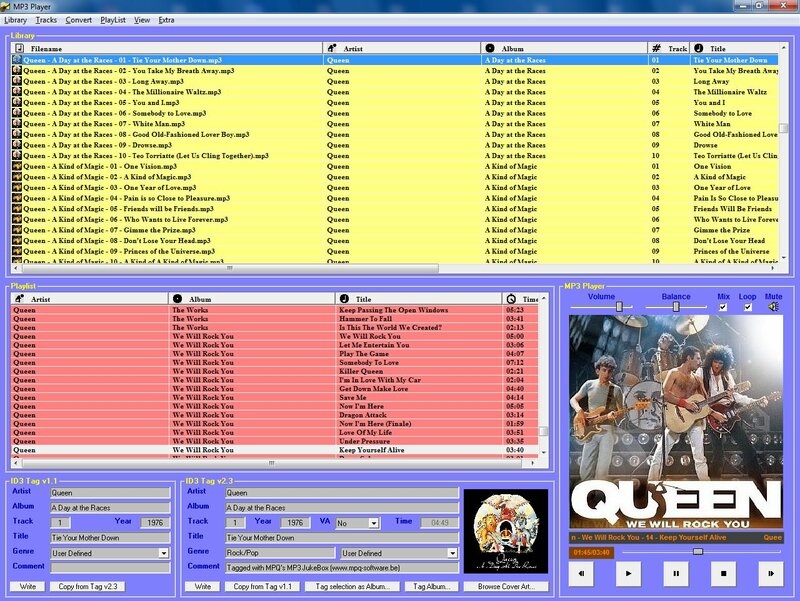 - MPQ's M3U Player is freeware.